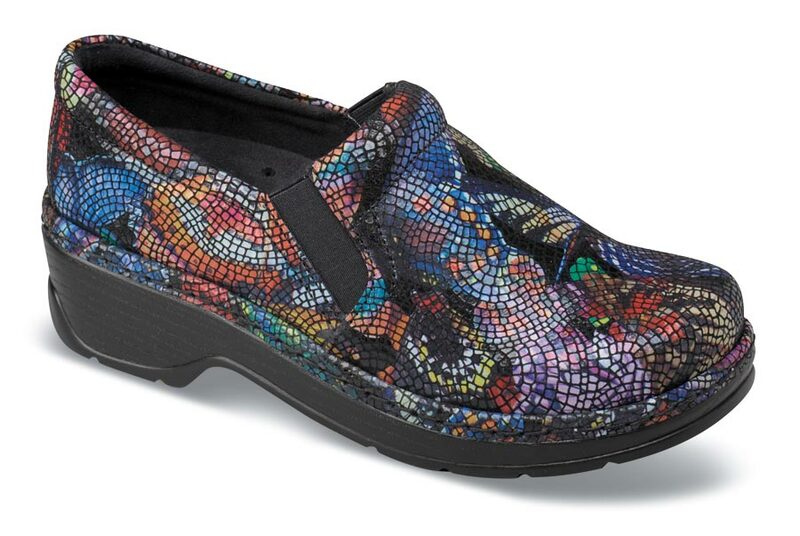 The "Butterfly Mosaic" Naples clog from Klogs is a knockout in both style and comfort. It has a deep insole and thick outsole made of a proprietary polyurethane formula for exceptional shock absorption. Superior energy return helps protect feet, legs and back all day. Removable anti-microbial footbed. Can accept orthotics. 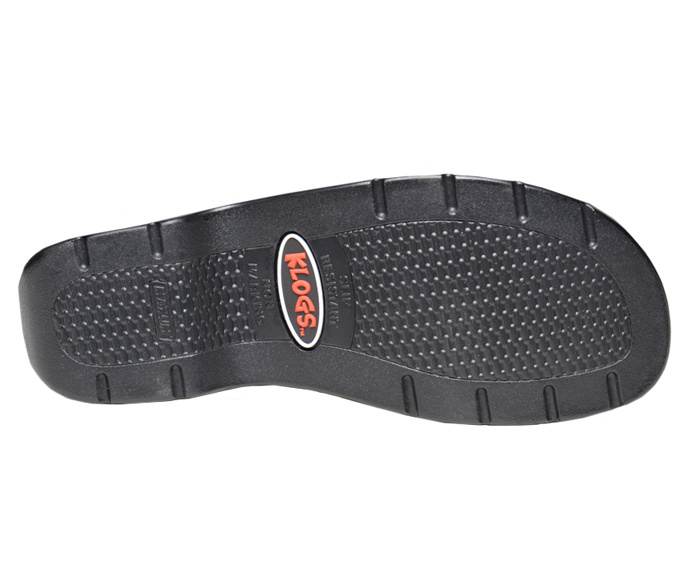 Slip- and oil-resistant PU outsoles. Originally $119.95. Limited stock in women's extra-wide width in sizes indicated.